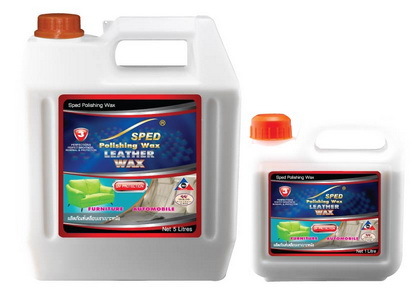 Sped UV Protection Leather Wax is a special formula enriched UV Protectant and high glade wax. Gives long lasting protection and high gloss to leather, plastic, vinyl, fiber, rubber, wood, furniture, hand bag, shoe, and etc. Special UV Protectant and high glade wax give perfect brightness, renewal and protection to the surface from being stuck with dust and also protect its from being bleached and broke from sun-burning and ultraviolet ray. It should be used regularly every 10-15 days. A highly concentrated synthetic detergent that dissolves dirt and grime. Fast and easy to removes grease, oil, ink, tar, crayon, pencil, food stains and etc. Cleans and protects while leaving a fresh scent. For use on: seats, convertible tops, dashes, headliners, carpet, door panels and etc. Excellent spot remover for furniture and carpet. Can also be use as grease cutter and kitchen cleaner. 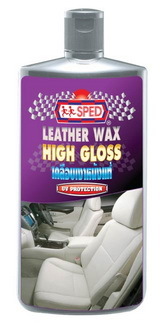 Special Formula "UV PROTECTION", enriched high glade wax and premium perfume. 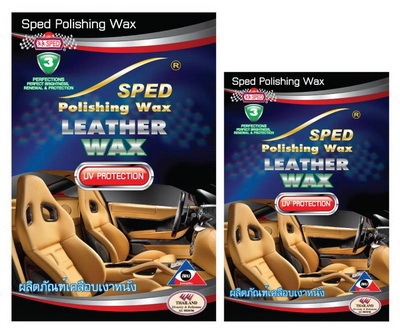 Gives long lasting protection and high gloss to leathers, plastic, vinyl, fiber, wood, furniture, hand bag, shoes, etc. Special wax gives perfect brightness, renewal and protection to the surface from being stuck with dust and also protects it from being bleached and broke from sun-burning. It should be used regularly every 7-10 days. 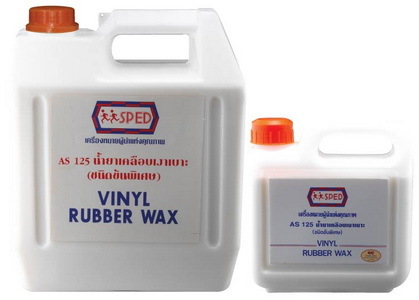 Sped Vinyl & Rubber wax gives long lasting protection and high gloss to leather, plastic, vinyl, fiber, rubber, wood, furniture, hand bag, shoe, and etc. Special UV Protectant and high glade wax give perfect brightness, renewal and protection to the surface from being stuck with dust and also protect its from being bleached and broke from sun-burning and ultraviolet ray.